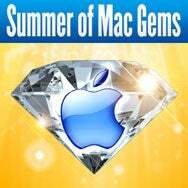 It’s easy to edit a single event in iCal, but what if you want to modify multiple events? Wooden Brain Concepts’ CaliBrate 1.1.3 is the answer. 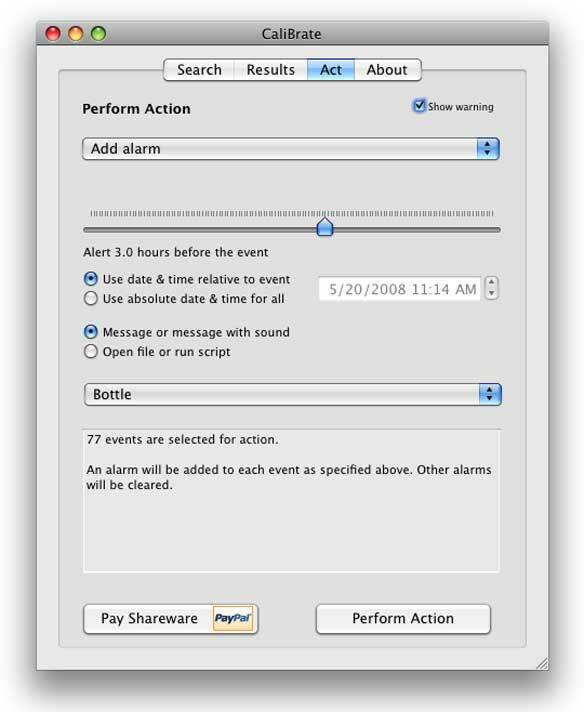 This nifty utility lets you batch-modify iCal events, with available actions including moving events between calendars, deleting events, changing times, editing titles and notes, setting locations and URLs, editing attendees, modifying alarms (including bulk-disabling reminders), and editing recurrence settings. You can perform such actions on all events or events for a specific calendar. CaliBrate can also help you find and remove duplicate events and lets you manually edit any event.